ARM 2/c Edward C Hunt, son of Mrs. W.P. Hunt, graduated from Loveland High School. 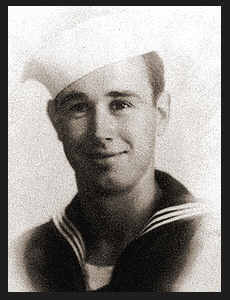 Entered Navy in Sept. 1942, trained in Corpus Christi, Kingsville, Texas and Shoemaker, Cal. ; served in the Hawaiians where he is now on duty. Awarded Good Conduct Medal, Asiatic Pacific Ribbon.